Happy Kitchen Sink Stamps Monday! Inspired by this weeks Mojo Monday Sketch and the Ribbon Carousel Challenge #89, I used Kitchen Sink stamps Mutli Step "Lil Elephant stamp set along with Bunny Pattern Paper. 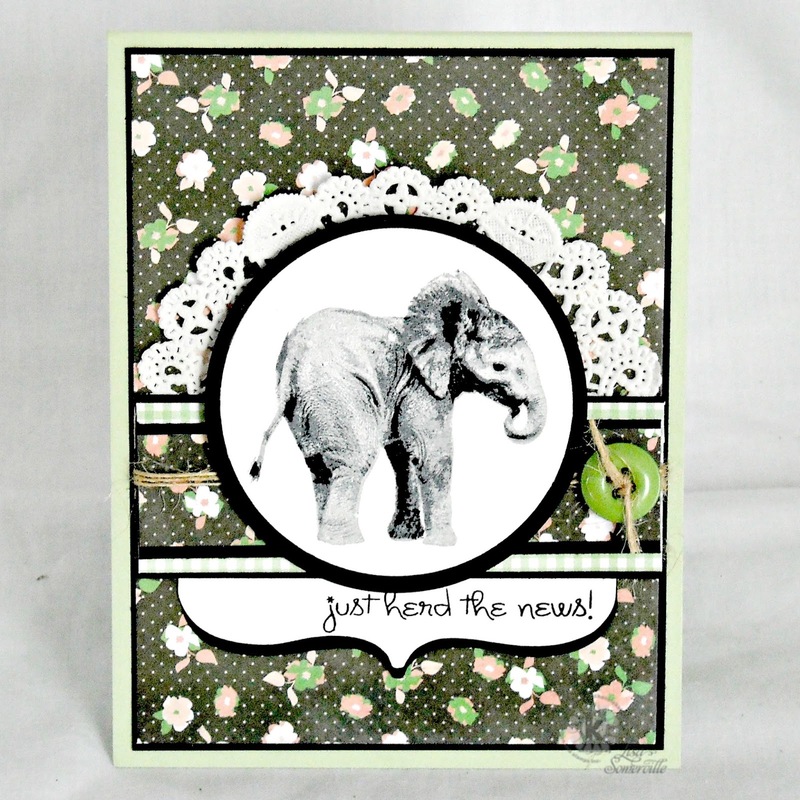 The sweet little elephant is stamped on White card stock then die cut with Spellbinders Circle Dies and layered on a Black circle. The sentiment is stamped in Black Archival on White card stock, then die cut using Top Dog Dies Pocket Albums Dies (TW010) and layered on a Black die cut panel. To embellish, I added a paper doily, twine and button. Such a great post title! A very sweet card indeed.